The PEAKapp consortium is composed of a balanced team of complementary organizations including electricity retailers, an electricity branch association, two software developers, highly specialized research and innovation centers and universities. Between us, there is strong expertise in the fields of smart metering, smart grid, software development, business development and behavioral science to collectively tackle the challenge of developing of smart services to better utilise electricity from renewable sources. The Energy Institute at the Johannes Kepler University Linz is a not for profit research organisation, whose multidisciplinary knowledge of more than one scientific field is essential for energy-related research topics. EI-JKU analyzes the economic effects of questions regarding energy-related policy, discusses the most recent developments in the European energy legislation and evaluates strategies for CO2 abatement schemes as well as measures aimed at promoting energy efficiency goals. Main tasks: EI-JKU coordinates the project and WP 4: Customer Engagement Analysis and Savings Impact Assessment. IJsfontein Interactive Media, founded in 1997, is a specialist in the creation and development of playful learning, including games, apps, webtools, blended learning methods and interactive exhibits. IJsfontein has the same basic goal with each project: inciting users to take action, so that they can learn and discover whilst playing. IJsfontein makes media interactive and is convinced that people are naturally curious and intrinsically motivated to develop themselves. In IJS´s view, play is one of the most effective ways to encourage this natural behaviour. IJsfontein is responsible for the development of the serious game, the management of interfaces with Greenpocket and Tecnalia as well as the coordination of the field implementation of the serious game. TECNALIA RESEARCH & INNOVATION (www.tecnalia.com) is a private, independent, non-profit applied research centre of international excellence. TECNALIA is the leading private and independent research and technology organisation in Spain and one of the largest in Europe, employing 1,419 people (164 PhDs) and with income of 110 Million € in 2012. The whole team at TECNALIA has one GOAL: to transform knowledge into GDP, meaning wealth to improve people’s quality of life by generating business opportunities for industry. TECNALIA has been granted over 250 patents and promoted more than 30 spin-off companies. TECNALIA brings its broad experience in FP7 projects to achieve the goals of PEAKapp. Moreover, TECNALIA works on the work packages related to serious gaming design and mobile apps and takes the lead in WP 1. GreenPocket is a specialist for smart meter and smart home software that empowers people to use energy in the most comfortable and responsible way. Based on a flexible, modular and scalable high performance platform, GreenPocket’s software applications transform complex energy data into a wide range of consumer-oriented benefits for energy control and home automation. GreenPocket is one of the leading software companies in the global smart energy market. GreenPocket is a privately held company from Cologne, Germany. GreenPocket will be responsible in PEAKapp for the software development and therefore takes the lead in WP2. Enamo GmbH was founded as a joint power retailing company of the largest suppliers in Upper Austria (Energie AG) and Linz (Linz AG). It is the largest Upper Austrian power company which supplies approximately 500,000 residential customers under the brand names Energie AG OÖ and Linz Strom. 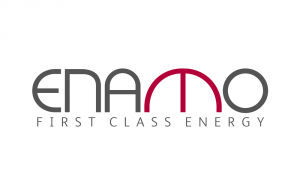 Large customers as well as residential households are served under the brand Enamo, Enamo green electricity and stromdiskont.at. The latter are additionally marketed in other Austrian provinces, as well as in the Czech Republic and Southern Germany. Enamo contributes to one of the two field tests of PEAKapp with household customers recruitment. Furthermore, Enamo is active in several tasks of the projects from developing the functionalities in WP 1 to the development of the Ready-to-sign market uptake strategy and dissemination. Enamo is also leader of Task 3.3. ELDER was established in 1999 as the association of distribution services companies (DSOs) in Turkey. It represents 21 DSOs, which are managing the electricity retail grid in Turkey. ELDER aims to support its members trough R&D activities, regulatory monitoring and economic assessments for successful and widespread deployment of electricity distribution services in the country. ELDER is closely monitoring the activities of international fora like Global Smart Grid Federation and Smart Grids European Technology Platform and disseminates the results of their work to its members through information events. The Secretariat General of ELDER will be responsible for the assigned tasks in PEAKapp. 220 Energia OÜ/OY was founded in 2012 as a power retailing company operating in the Nordics and the Baltics. It is fast growing internet-based electricity retailer delivering electricity to more than 50,000 customers in Finland, Estonia, Sweden and Latvia. 220E participates in the development of the functionalities of the ICT-to-human ecosystem (WP1), the development of the back-end processing unit (WP2) and serves as field test partner in Estonia, Finland and potentially in Latvia and Sweden. The Department of Management Engineering, Technical University of Denmark (DTU-MAN), provides industry, private and public organizations, and society at large with cutting edge management knowledge and competences for creating solutions to address grand challenges and improving success based on close interaction of management, engineering, economics, and natural sciences. 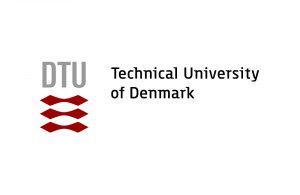 Given the described competences, DTU-SYS contributes to the project mainly through the following tasks: 3.2: Survey design and data specification; 4.1: Modelling consumer behaviour through econometric time-series analysis; and 5.2: Market transformation through dynamic electricity prices, focusing on the latter two tasks. DYU-SYS furthermore contributes to the dissemination of project results to industry stakeholders and the scientific community. 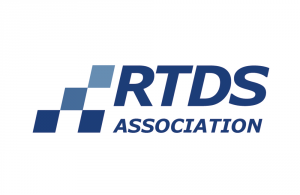 RTDS is a not-for-profit association and SME supporting the full “research to market” process of successful EU funded collaborative projects. The RTDS Association was set up for the non-technical implementation of Research and Technological Development (RTD) projects i.e. administration, dissemination, communication and exploitation management. - Development of the exploitation plan. BED - Baskent Elektrik Dagitim A.S.
Enerjisa, electricity distribution serves 25% of the population over 14 provinces in Turkey. Enerjisa, aiming to be electricity distribution sector leader in Turkey and a well-known company in Europe; produces sustainable, high quality solutions in Başkent, Ayedaş and Toroslar regions. Enerjisa, pioneered privatization in electricity distribution sector by taking over Başkent Electricity Distribution company in 2009 and continued with Ayedaş and Toroslar Electricity companies in 2013; reaching 9 million customers, 19% of Turkey’s power line length, 14% of overall distribution area and 28% of total energy consumption of Turkey. BED’s main task in PEAKapp is to support the development and roll-out of the ready-to-sign market uptake strategy. Throughout the project’s lifetime, they assess the use of PEAKapp in their company and will therewith give valuable real-world impact to the project.